Surgery in New Zealand hospitals has a soundtrack, newly published research in the New Zealand Medical Journal says. Overseas studies have found music is commonly played while operations are performed and their New Zealand counterparts are no different - 98% of respondents to a survey said music was played in operating theatres where they worked, and half of them said music was played more than half the time. "Music was preferred for longer, more familiar and non-urgent procedures, at a low to medium volume'' authors Anantha Narayanan and Andrew Gray, from the Dunedin School of Medicine, said. Do not expect your surgeon to be headbanging or pogo'ing while they work, though: easy listening (54%) and classical (36%) were the most preferred musical styles. Reggae, hip-hop and electronica languished at 6%. Dunedin Hospital acting charge nurse manager Nancy Sweeney said music was popular in the hospital, both with patients and staff. "If patients are having operations where they are awake they can listen to what we listen to if they like, or they can have headphones,'' Ms Sweeney said. Music was seldom played in trauma situations - "everyone would be too busy to listen anyway'' - but was common during other procedures. Music choice would be half and half between surgeons and the surgery team, Ms Sweeney said - although one surgeon was known for working only to either Frank Sinatra or Johnny Cash. Some theatres were even hooked up to the Spotify music streaming service. "Someone will have an iPod or phone playing music and if it's not what anyone wants it gets turned off,'' she said. 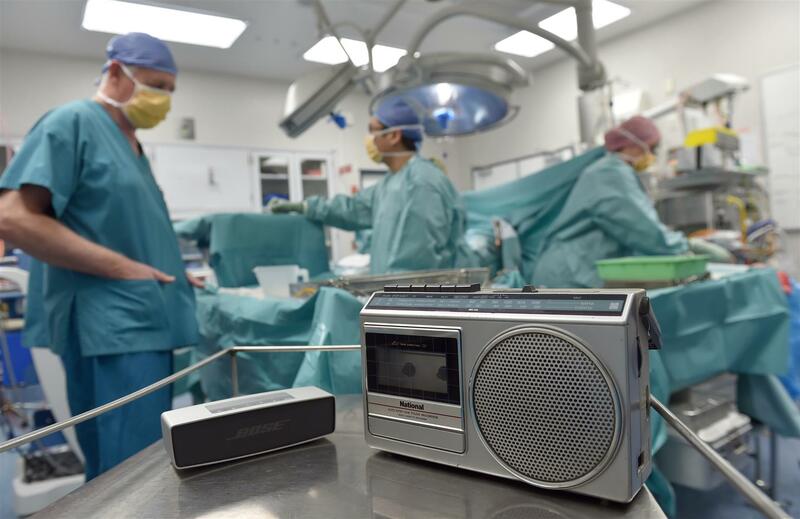 The researchers concluded that music was a common and favourable part of the operating theatre environment, and suggested follow-up studies could be done on whether music had any clinical outcomes or any impact on patient's perceptions of surgery. ➋ Doctor Doctor. Thompson Twins. ➌ Gary Gilmore’s Eyes. The Adverts. ➎ Open Heart Surgery. Beth Ditto. ➏ The Nurse. The White Stripes. ➐ The Physician. Cole Porter. ➒ When Under Ether. P J Harvey. ➓ I Wanna Be Sedated. The Ramones.